When you're handling small objects, it's useful to have a pair of gloves that are extremely thin and light. This helps you maintain a significant level of dexterity. 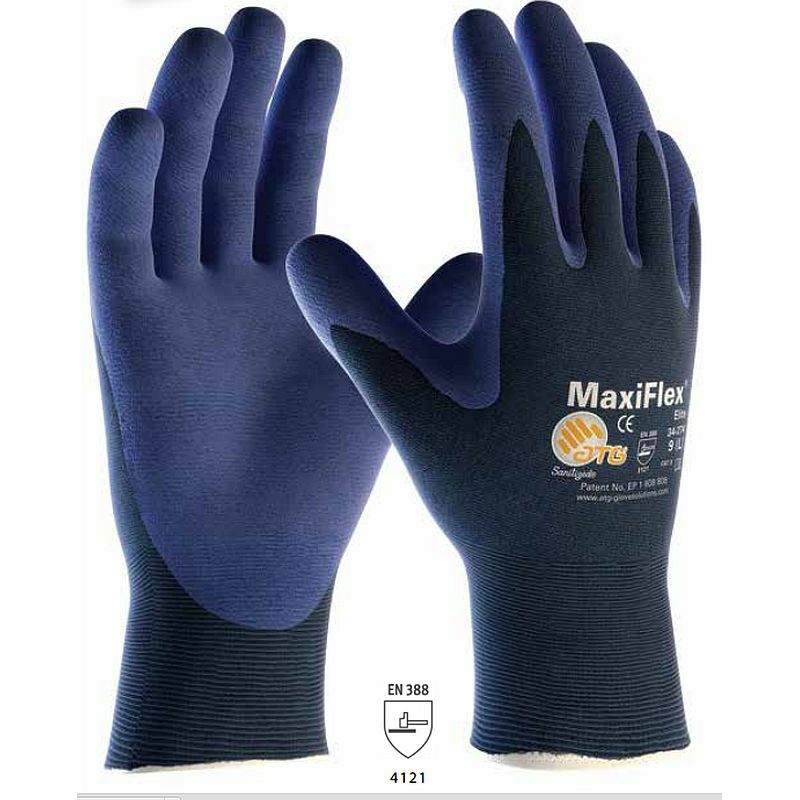 The MaxiFlex Elite Palm-Coated Knitwrist Handling 34-274 Gloves are among the lightest and thinnest foam nitrile gloves on the market, making them ideal for fine handling tasks. These are designated Category II gloves, meaning they should be suitable for most medium-weight tasks. As the gloves are thin and provide a moderate level of resistance against physical hazards, they should only be used when no other hazards are present.